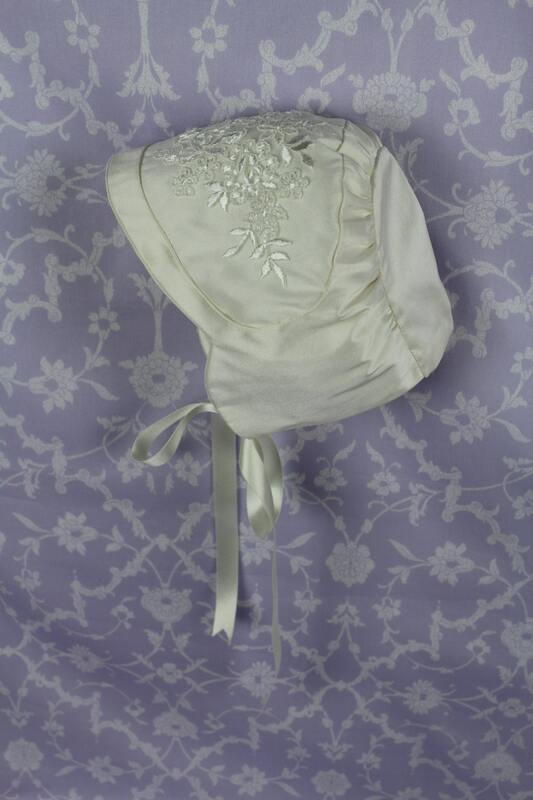 The Michelle bonnet matches the Michelle gown and the Lauren Gown. 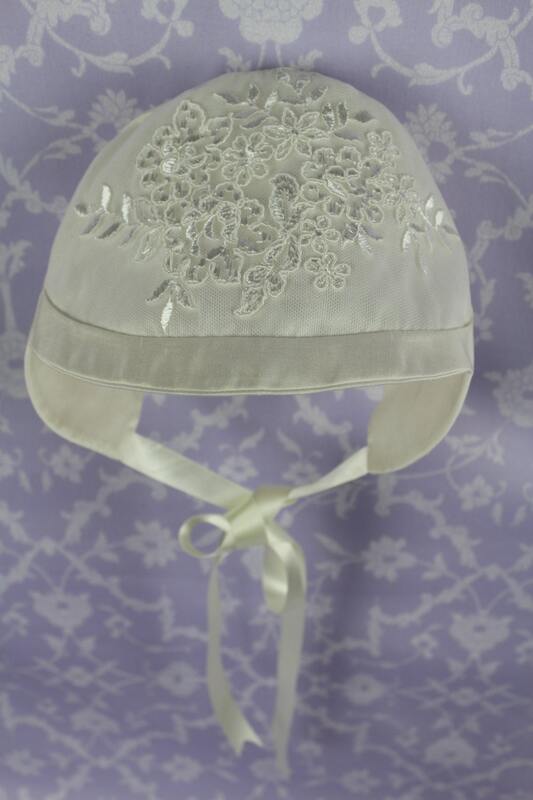 The detail on this bonnet is a single cluster of flowers motif from the Michelle lace inset in an oval design on the crown of the bonnet. The front edge of the bonnet runs around the oval and sweeps in a curve back from the crown and forwards again creating a scalloped effect. Very delicate and very special. 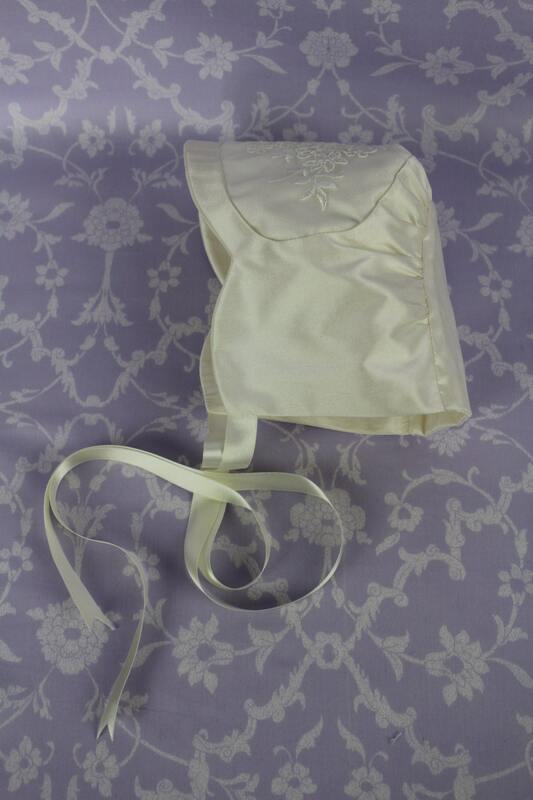 The Michelle Bonnet matches our Michelle booties.